Ah, yes. 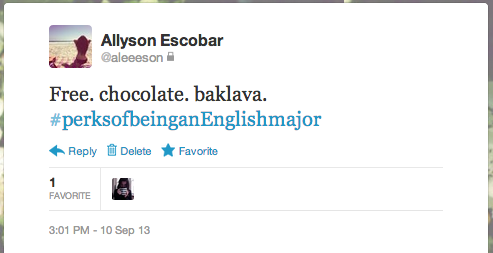 The infamous #hashtag. 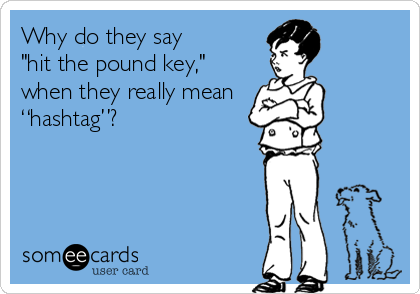 Once known as a number symbol or the “pound key” (because who actually uses that button anyway), the hashtag has paved the way for a new digital frontier. Supposedly used for grouping similar interests/ideas/topics and an attempt at “organizing” the Internet (psh, yeah right), the hashtag has been used endlessly for things like trending topics on Twitter, tagging on WordPress and Tumblr, and even as a way of searching photo captions on Instagram. The #hashtag has become a daily part of our “second life” via the Internet, a not-so-subtle way of expressing thoughts, side-comments, and #reallylongsentencesthatareextremelyunnecessaryanddifficulttoread. Ladies and gentlemen, your hashtag. But how did this concept of the “hashtag” even start? According to Hashtags.org, a website that attempts to organize the world’s hashtags (key word: attempts), the very first idea for a hashtag group occurred on Twitter back in 2007. Chris Messina, an early Twitter user, asked his followers about using the pound key for messaging groups. Messina came up with the idea of a “whisper circle” (another word for Tweet, back in those days) to exchange select messages to a smaller audience with similar thoughts/ideas. His initial idea was called the channel tag. 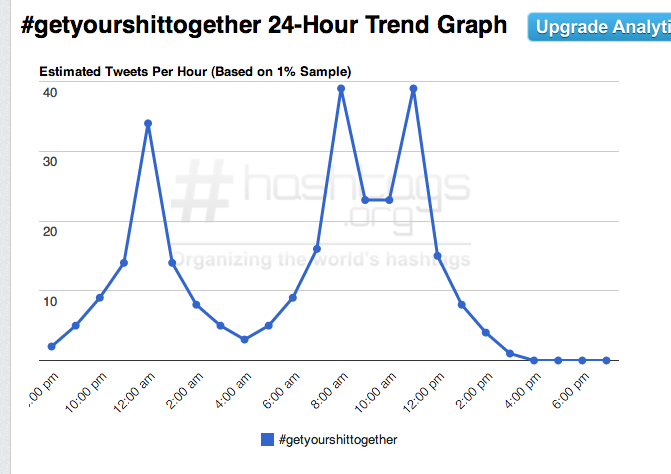 Really blatant thoughts, such as the #getyourshittogether tag on Twitter, tracked by Hashtags.org. Not suprisingly, the tag is used most often between the hours of 8:00 am and 12:00 pm. Annoyed People peak hour. 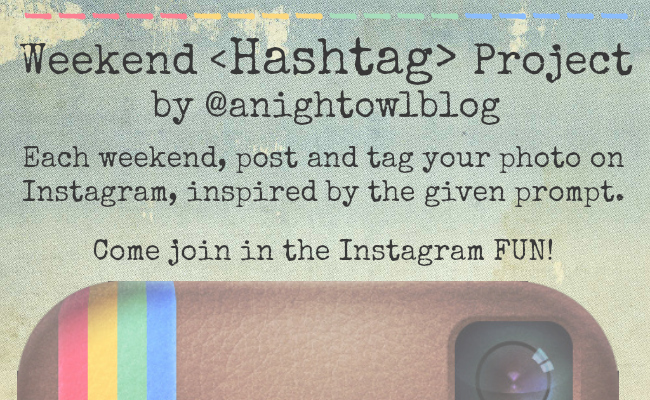 Hashtag “projects” people attempt to do together, such as #project365 on Instagram. Wedding/event hashtags. Great idea, really: a most organized and efficient way to view different photo perspectives! Again, the #reallylongsentencesthatareextremelyunnecessaryanddifficulttoread hashtag. You know ‘em. You love ‘em.